Little attention has been focused on modern productions of the plays of Shakespeare's contemporaries. 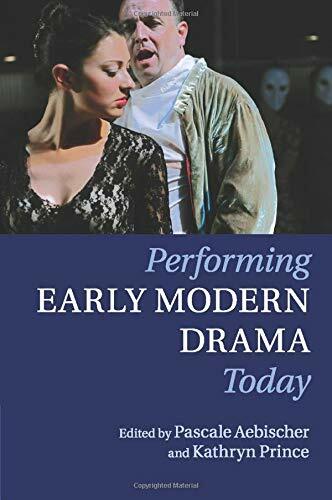 This book offers an overview of, and an essential reference to, recent stage and screen adaptations of early modern drama written by leading scholars and practitioners, including three detailed appendices listing amateur and professional performances. "This is an important and long-overdue book. As the contributors make clear, performance of non-Shakespearean early modern drama has been going on steadily for more than a century, yet every production is considered new and every work 'rediscovered.' This is due in large measure to the lack of consistent archiving and scholarly response....This collection goes a long way toward addressing these problems, not only with uniformly excellent essays, which cover a wide range of approaches, but also amazingly robust appendixes listing performances.....Summing up: Essential." While much attention has been devoted to performances of Shakespeare's plays today, little has been focused on modern productions of the plays of his contemporaries, such as Marlowe, Webster and Jonson. 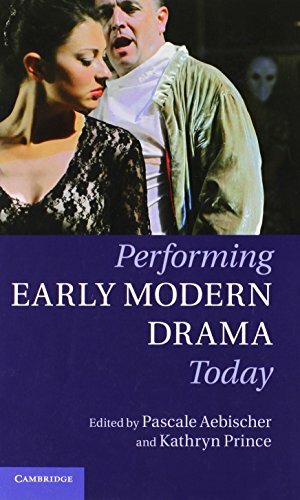 Performing Early Modern Drama Today offers an overview of early modern performance, featuring chapters by academics, teachers and practitioners, incorporating a variety of approaches. The book examines modern performances in both Britain and America and includes interviews with influential directors, close analysis of particular stage and screen adaptations and detailed appendices of professional and amateur productions. Chapters examine intellectual and practical opportunities to analyse what is at stake when the plays of Shakespeare's contemporaries are performed by ours. Whether experimenting with original performance practices or contemporary theatrical and cinematic ones, productions of early modern drama offer an inspiring, sometimes unusual, always interesting perspective on the plays they interpret for modern audiences.